Breaking into the sci-fi/fantasy market is relatively easy these days for authors uninterested in making readers think. Experiencing a hey-day of sorts, the shelves are saturated with titles trying to fill every interstice between its successes. With so much just trying to cash in on waves of entertainment, locating the truly original and worthwhile efforts amongst the pretenders and hack artists is increasingly difficult. In other words, publishers simply cannot be trusted as filters for quality literature. I am thankful, therefore, that I was introduced to William Rosencrans’ originally imagined and thought-provoking debut The Epiphanist. Otherwise, it may have been lost in the deluge. On the surface, The Epiphanist is the coming-of-age story of Vladimir, a genetically modified outcast living in the wastelands of the Holy City. Every day a fight to survive in the war torn jungles of Abbadon, the rebels around Vlad wage what fight they can against the forces from the City, making the simple things in life, like education and food, anything but easy. Rendering life more complicated is the surreal spin of nanotechnology. Devices and monitors watching in the strangest of forms (satyrs to house flies, gentlemen in top hats to dragons), the morality of all is recorded by the Holy City to help decide whether or not the genetic misfits of Abaddon are allowed to pass through the City’s impenetrable nanowall into its idyllic halls. Ethical advice coming in the strangest shapes and sizes, not to mention from all angles, Vlad is left with nothing but his wits to get him through the war and a chance at the Holy City. But is it worth it? Regarding style of storytelling, Rosencrans deadpans the text, giving few hints as to the actuality behind appearances. Lacking authorial hand-holding (i.e. explaining the reason behind things—as I’m doing now), the resulting story is rich with detail, and as often as not, unpredictable. Heightening this effect is the quality usage of sci-fi effects. Though similar to the “technical” manner in which Neal Stephenson employs nanotech in The Diamond Age, Rosencrans uses the futuristic science along more symbolic, almost fantastical, lines. Much of the imagery and many of the personalities Vlad encounters blur the lines of reality. The result is a narrative not unlike Gene Wolfe’s Book of the New Sun. What is only a result of the drugs Vlad is taking? What is not? Which character has ulterior motives, and, which is speaking from their heart? What can be believed as “truth” and what not? The answers to these questions slowly become obvious, but readers must be prepared to cogitate upon what they are presented. It goes without saying The Epiphanist’s re-read value is high. Though it is his first novel, Rosencrans’ writing style is consistent throughout. Not literary in a baroque sense, sentence and syntax are no-nonsense; they relay scenes, imagery, and internal monologue in direct fashion. Plotting dynamic toward the beginning, the narrative slowly gathers focus, building to a climax rich with imagination. Story and theme complementing each other analogously, the denouement is in fact brilliant. Vlad’s life becomes both a real and symbolic example of the personal themes Rosencrans is driving at. Thus, despite the potential for reader confusion encountering the myriad of strangeness and ethical worldviews at the novel’s outset, the story builds to a conclusion that draws it all together perfectly, the journey worth the while. And it is a journey. Vladimir’s personal development key to the story, The Epiphanist interestingly shares the same story structure as Herman Hesse’s bildungsroman Siddharta. Though written in science fiction terms, Vlad’s life shifts through the same three phases: in, out, and beyond. To define these phases more clearly would ruin the story. Suffice to say, the concept of transcendence permeating the novel’s conclusion is something readers of Eastern philosophy and Ken Wilber’s Integral Psychology will understand easily, and perhaps enjoy. In the end, The Epiphanist is a brilliant debut. Filled to the brim with fantastical imagination, a simple but effective setting, a flawed main character, and theme strongly linked to story, the book is an organized milieu of beliefs and ideas that will have readers ruminating long after they’ve finished. The sci-fi aspects and style of storytelling bearing much in common with Gene Wolfe’s Sun series, the message at the novel’s heart nevertheless holds greater similarity to the transcendence of Ursula Le Guin’s A Wizard of Earthsea, Silverberg’s Nightwings, or Hesse’s Siddharta. Fans of any of these works will not be wasting their time checking out The Epiphanist. In spite of its title and cover art, there are many things that Gene Wolfe’s The Wizard Knight is, and many things it is not. Though published in 2004, the lengthy two-part novel is not the latest entry into modern, gritty, sword and sorcery epics like those of Erikson, Martin, Kearney, Bakker, or Ruckley. It is a traditional tale—and in more ways than one. The characters may be largely archetypal, the storyline filled with typical motifs of the genre, and the underlying message one of personal growth and maturity, but for as derivative as it seems, Wolfe spins all of these high fantasy clichés into an original, imaginative story that transcends the genre and inches toward literature. 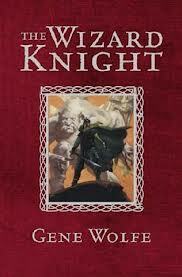 Sir Able of the High Heart is The Once and Future King in body and A Wizard of Earthsea in soul. In classic Wizard of Oz or Chronicles of Narnia fashion, The Wizard Knight is an alternate universe fantasy. Receiving a bonk on the head, the main character suddenly finds himself in another land—a fantasy land. The boy, named Able, learns he is in Mythrygar, the fourth level of a Norse-like universe located between Skai and Aelfrice, and must get back to our world. Headstrong and ambitious, Able’s adventures in Mythrygar take him through a variety of places and scenes, his development key to the plot. Along the way the Queen of Moss Aelf enlarges his body to that of a man’s, a dragon gives him sprites as guardians, he befriends a dog, converses with a cat, and fights all kinds of beasts—dragons, frost giants, and ogres—in an imaginative journey through over- and underworlds, becoming a man for our world in the process. For readers left in consternation by The Book of the New Sun or any other of Wolfe’s more allusive novels, fear not: The Wizard Knight is a straight-forward read perfectly on par with the Book of the Long Sun. This is not to say things are always handed to the reader on a silver platter (Wolfe is too subtle for that), but the narrative does advance linearly, characters are introduced slowly and distinctly, and most importantly, the number of immediately unexplainable occurrences that require analogous thought are extremely few and very far between. Wolfe toning himself down, it’s almost as if he intended the book to be something a young man could identify with while growing—a real bildungsroman that takes flight in the imagination but lands in reality. Though this review is getting a little long, it would be remiss not to quickly discuss the wealth of knowledge Wolfe has infused the story with. Norse myth informing the setting and many of the characters (particularly the seven layered world which Able traverses and the frost giants of Jotunland), Arthurian legend is nevertheless most responsible for the storyline. Knights, castles, jousting, dragons, kings, queens, etc. are the story’s guiding lights. Wolfe unable to prevent himself, Christian mythology also occupies a place in the novel. However, it remains insignificant in comparison to the Norse and Arthurian tropes, the ending containing the bulk of it, for better or worse. The Wizard Knight trade paperback edition published by Gollancz, weighing in at 3 pounds and 916 pages, is not exactly an agile beast. Not easily carried-with, it may be worth your while to invest in the two books The Knight and The Wizard, respectively, for those standing on busses and trams while reading. In the end, The Wizard Knight is a heavyweight in more than one dimension. Jammed to the hilt in Norse myth and Arthurian legend, readers should expect a classic bildingsroman of a boy becoming a man in a world of knights, dragons, and faery. The book is suitable for all ages, from a young man’s view of Able’s coming-of-age to an adult’s appreciation of the myth and fantasy background. Magical only in imagination, readers should likewise expect Wolfe to subvert the clichés of high fantasy by developing his main character toward something more than a dragon-killing king of the land’s biggest castle, happily ever after. Like Le Guin’s Earthsea Cycle, self-knowledge is the treasure sought. Yves Menard’s The Book of Knights and the works of Lord Dunsany serving as inspirations, fans of either will enjoy Wolfe’s book. Though never explicitly credited, the strongest similarity may be Jack Vance’s Lyonesse trilogy. No doubt there are numerous differences between the two, nevertheless each has an overall feel, length, quality of imagination, and bittersweet outcome not unlike the other. Wolfe’s pacing much slower and dialogue more forthright, this comparison should be taken like an aelf’s whisper: carefully. At age 82, it’s safe to say (I think) that Ursula Le Guin will not be publishing additional books in the Earthsea Cycle. Though this has been said before, the qualities of the last book to be published, The Other Wind, particularly the subtle and cathartic value of its denouement and the state in which the main characters are left, make the extension of the Cycle beyond six books unlikely. Walking away on a high note, the Cycle is concluded in grand style. Unlike the personal storylines of the original trilogy, The Other Wind sees the continuation of the pattern established by Tehanu and Tales from Earthsea: groups of characters take center stage rather than individuals. All of the characters who have appeared in previous novels are drawn together. Their purpose: to eradicate the larger ills plaguing the archipelago. 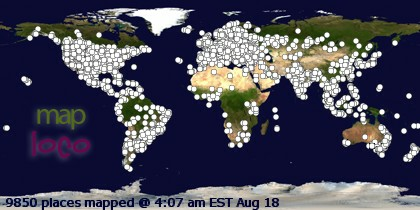 The dragons are uneasy and are disappearing to the west amidst internecine violence. The dead in the dry land haunt the living in their dreams, begging for release. And political tension are rising as the Kargish have sent a princess to Hardic lands with the intent of marrying her into the fold, uniting two old enemies. Le Guin resolving matters as only she can, interrelationships toward social harmony prove a more useful tool for solving the issues than magic and wizards in The Other Wind. Another soft fantasy novel, she again defies the clichés of epic fantasy with her plot structure and mode of conflict. Events arising and unfolding in realistic fashion that does not involve mammoth wars or wizardly duels, instead, diplomacy, understanding, and perennial wisdom save the day. Moments of strong tension do exist, but they are the result of the social and political forces at play rather than the threat of imminent violence. A man’s longing to escape his dreams and be with his wife; a king’s lack of willingness to take responsibility for his role; a woman’s fear she will be unable to perform the task set out for her, and a master’s pride in the face of tradition are just a few of the back stories causing the more overt threats to the archipelago. While inter-cultural politics play a role in the novel, the fairy tale glass through which Le Guin presents the theme sometimes distracts from the seriousness of the scenes. The message burning at the heart is meaningful, only the delivery lacks a certain maturity of tone, in turn reducing impact. Given the overall import of the theme—its parallel to our own world affairs—a lot can be forgiven given the poignancy of the implications. In the end, The Other Wind is a well rounded finale that resolves all of the major plotlines both in- and external to the novel. Ged, Tenar, Arren, Tehanu, and a variety of other character story arcs receive treatment and are concluded not only in satisfactory fashion, but in ways that meet Le Guin’s literary goals. The story subtle and concerned with social and political conflicts less discussed in fantasy, readers should thus expect a narrative more in line with the second half of the Earthsea Cycle rather than the original trilogy. 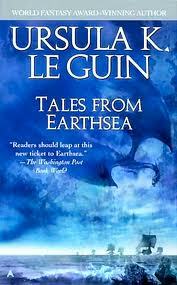 In 1972 Ursula Le Guin completed The Farthest Shore and felt the Earthsea series was finished at three books. However, in 1994 she published Tehanu:The Last Book of Earthsea in an attempt to revision the gender and social roles she’d laid out in that original trilogy. Based on the title, this too was supposed to be the be-all, end-all. 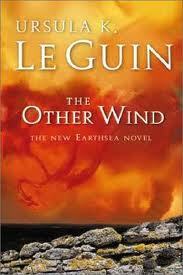 Apparently not satisfying enough, 2001 saw Le Guin publishing two additional books in the Earthsea Cycle, The Other Wind and Tales from Earthsea, that both complement and redress the original books. The former a novel that rounds out the entirety of Earthsea’s story into a nice whole, the latter is a collection of short stories that fills certain gaps Le Guin identified in Earthsea’s mythos. The following is a loose breakdown of those stories. “The Finder” – The opening story in the collection tells of the boy Otter, his imprisonment and escape, and subsequent joining of the Roke school of magic. Not what is expected given the state of the school readers have become familiar with, Le Guin shows that education regarding wisdom and magic in Earthsea once had a different root. “Darkrose & Diamond” is a short, simple tale of youth, lost love, and a person finding their way in life. Traveling musicians and magic the motifs, Le Guin tells the story of a young man and the conflicts he has with an overbearing father. A relatively light tale, thankfully Le Guin does not linger long on romantic elements, focusing instead on talent and the importance of understanding. “The Bones of the Earth” – The shortest in the collection, it is the story of how Ogion saved Gont Town in his youth from an earthquake. In addition to telling the real story behind the legends that have grown around the silent mage, the tale also tells of Ogion’s master and his training, proving there are different forces than nature to defy. “On the High Marsh” is the story of a sick man wandering the wastelands of Semmel Island. Suffering from fatigue and memory loss, the man knows only that he wants to help and heal. He boards with a lonely family and offers what services he can to their inflicted livestock. Given its themes of forgiveness and a new start, this may be the most emotionally impacting in the collection and is an excellent prelude to The Other Wind. “Dragonfly” – Perhaps the least coherent story in the collection, “Dragonfly”, on top of being a sort of postscript to Tehanu, is the story of a young woman who becomes more than she is—or thought she was. The symbolism inherent to In the tale’s conclusion slightly saccharine, not to mention the journey to that point overflowing with overt moralizing, the story nevertheless shows Le Guin walking the talk of her intentions to revision Earthsea from a feminist point of view. “A Description of Earthsea” – Not a story, Le Guin offers a survey of the archipelago in demographic fashion. Almost as if taken from her personal notes, the cultures, mages, history, dragons, islands, etc. are relayed in formal text that both summarizes what attentive readers already know, congealing the raw data of the setting and cultures into a single essay. From the origins of the Roke school to the revelation of what happened to the Master Summoner in The Other Wind, Le Guin attempts to fill certain voids in the mythos of Cycle with Tales from Earthsea. With the inclusion of thematic material like freedom of choice, gender equality, and the value of breaking from oppressive tradition, she likewise tries to bring into balance the qualities of theme in the Cycle as a whole. Though not all the stories are award winners, they nevertheless have the desired effect: Earthsea becomes more multi-layered, and in turn relatable. 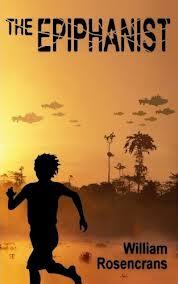 Recommended only for those who have read and loved the Cycle to date, including Tehanu.